COLUMBIA, MISSOURI — June 25, 2018 — Bluebird Network, a Midwest telecommunications company, today announces it has built its first customer-facing 100G diverse circuits. 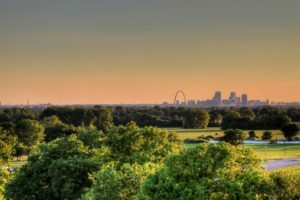 The customer circuits, totaling 200G overall, will be installed along two existing fiber routes from a metropolitan center to a rural area of Missouri. Installation on the circuits has been completed. Bluebird Network focuses on providing high bandwidth to both rural and urban areas in the Midwest, connecting rural areas to major cities. The company currently provides a wide variety of network services to enterprise and carrier customers, including secure and reliable bandwidth, Metro Ethernet, Wide Area Network Ethernet, Dedicated Internet Access, E-Line Services, Ethernet Virtual Private Lan Service (E-LAN) and Mobile Backhaul Transport services. Bluebird Network’s fiber optic infrastructure also connects to the Bluebird Underground Data Center, a collocation facility located in Springfield, Missouri.